Wild Basil is an annual plant with stems from 15 to 40 cm high and leaves resembling boxwood, but larger. 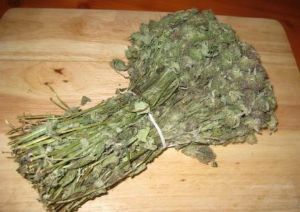 The inflorescence resembles the imprint of the cat step, hence the name of the herb. 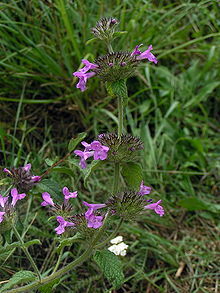 Wild Basil (Clinopodium vulgare) is distributed throughout Bulgaria, especially in the foothills of the Stara Planina mountain, forests and the Rhodopes. Various Clinopodium species are used as medicinal herbs to cure hangovers, stomach aches, and liver disease as a tea. They are purported to be especially effective for prostate problems.